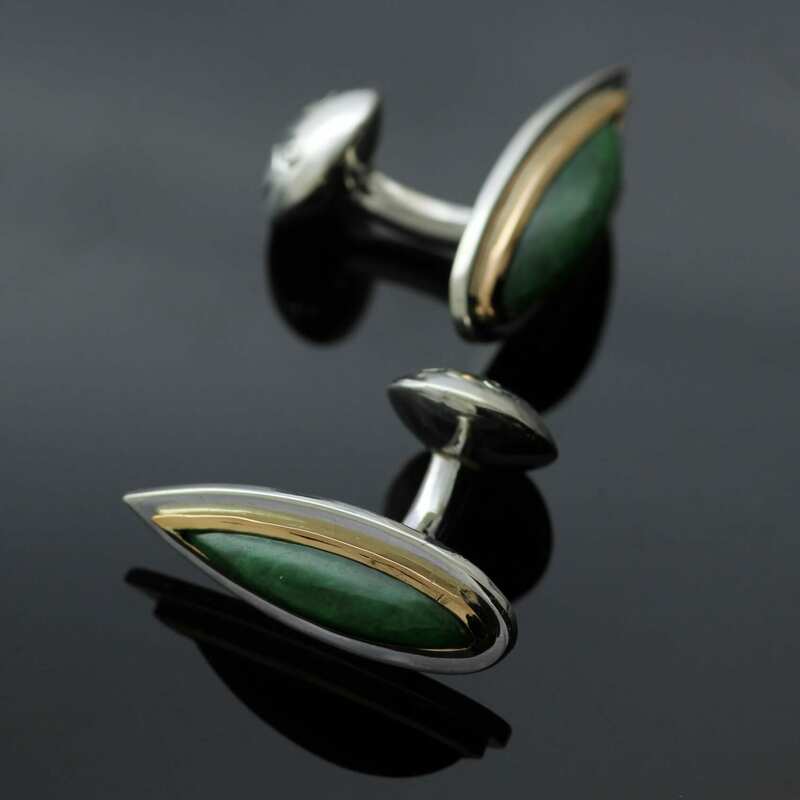 A truly unique and one-of-a-kind creation by Julian Stephens Goldsmith crafted using a beautiful piece of Jade provided by our client; a sentimental gemstone which our client wanted converted into something he could treasure and wear. 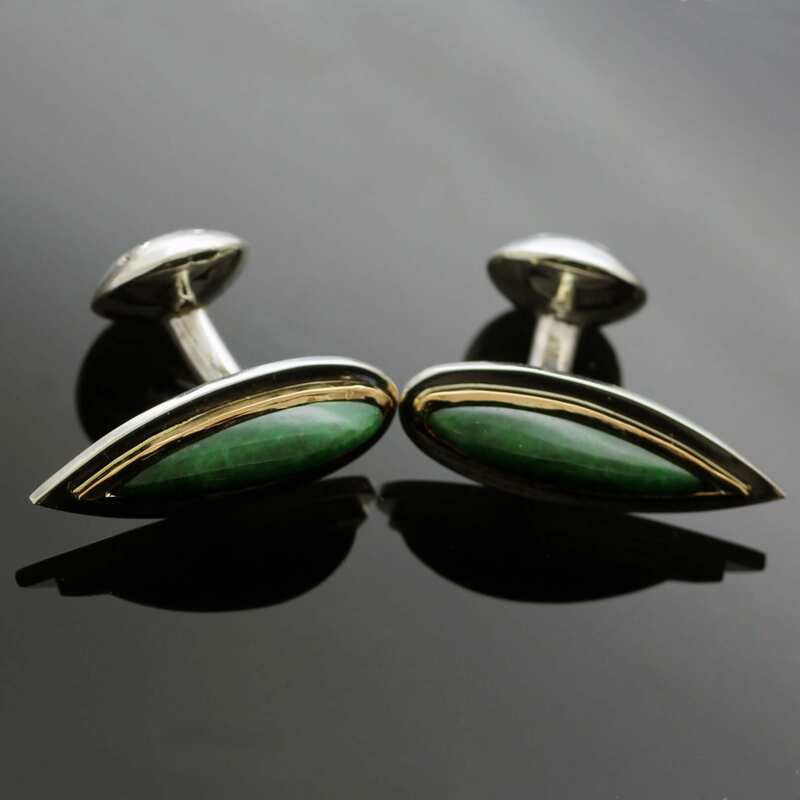 This stylish and modern cufflink design began with the Jade gem centrepiece. Carefully taking the clients Jade stone and expertly cutting this stone into two perfectly matching halves to create a beautiful, sleek elegant shape. The natural rich green hue of the Jade stone is enhanced by a slick 18ct Yellow Gold setting which surrounds and encases this gemstone centrepiece. 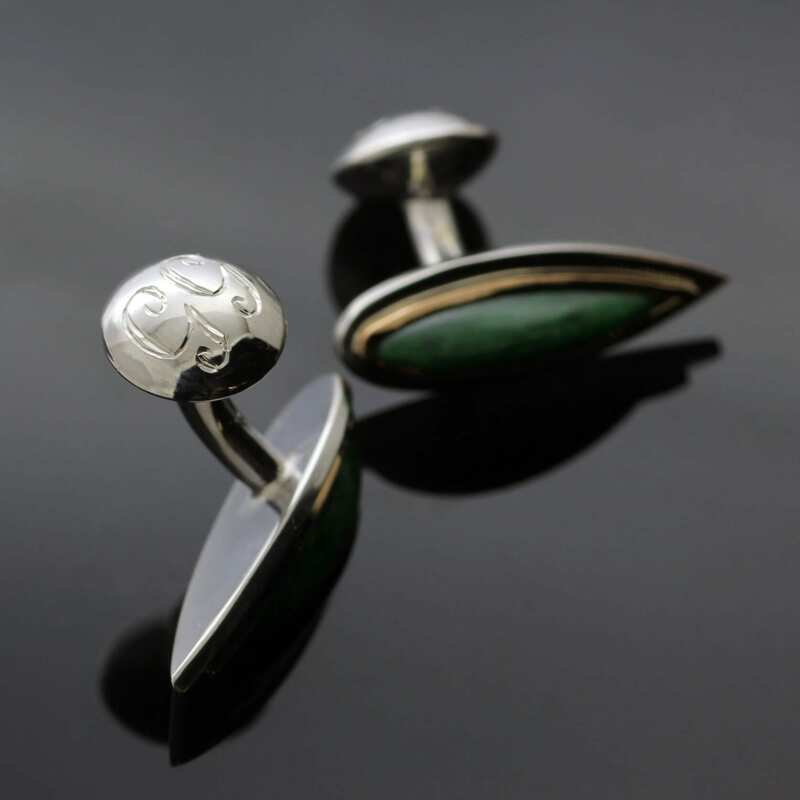 The cufflink design is carefully crafted from solid Sterling Silver, showcasing a contemporary and unique design by Julian Stephens. 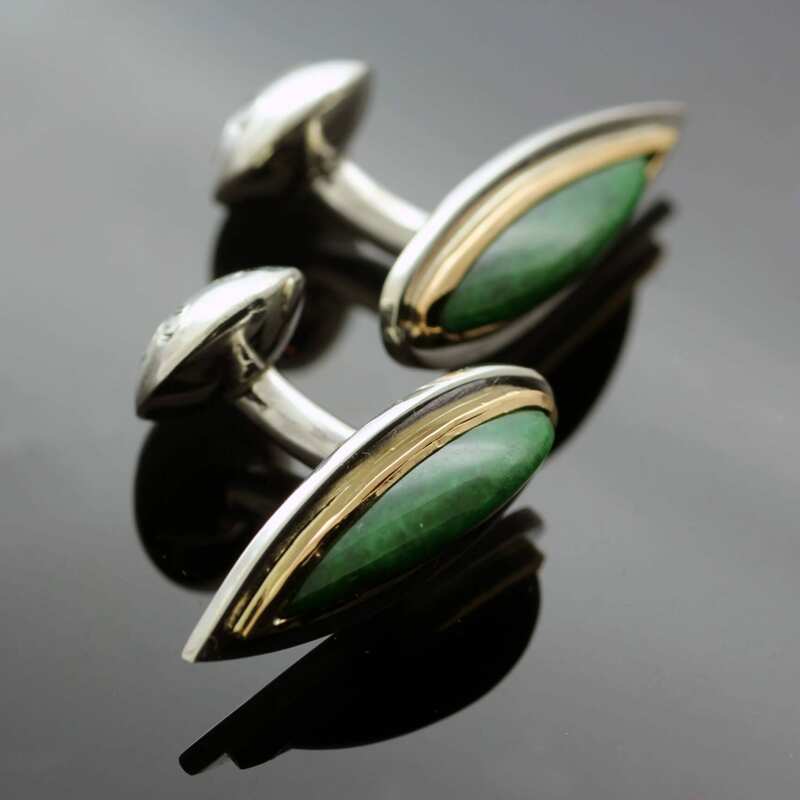 These one of a kind cufflinks are smartly finished with subtle hand engraved monogram detail on the reverse fastening of the cufflink. The precious metals are then finished with a glossy, high shine hand polish to complete the design.